Liberty Spine Care focuses on improving the way care is provided through a coordinated system that identifies and treats conditions of the neck and back, ranging from the most common to the most complex. Central to the spine center concept is a finely tuned and structured triage pathway that gives the patient immediate access and navigates the patient through an organized, coordinated approach to appropriate diagnosis and treatment and, most importantly, insures that patients see the right provider at the right time. In addition, Liberty Spine Care is staffed by a compassionate and caring staff and physician. The goal of spine treatment should be to get at the root of the problem, causing the least amount of disruption to the patient's lifestyle. Liberty Spine Care is experienced in developing comprehensive and invidividualized treatment plans that can help many patients return to activity without spine surgery. In most cases, spine surgery is a choice of last resort, after all nonsurgical methods have been exhausted, or when problems like severely herniated discs or damaged vertebrae simply will not respond to nonsurgical treatments. 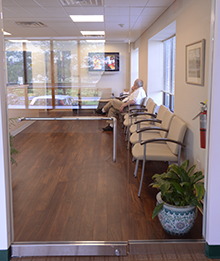 In fact, only a small percentage of patients seen in our office are surgical candidates. Dr. Valentino is able to take care of a simple back or neck strain as well as to care for complex spine surgical cases. Liberty Spine Care is affiliated with spine specialized physical therapists that excel at treating back and neck pain. One of the only way to permanently relieve pain involves changing the physiology of the back by using exercise to make it stronger, more flexible and resistant to injury. Through the use of standardized written clinical protocols, physicians take a uniform approach to managing injured backs. This approach reduces variation in care and ensures that no one will get unnecessary or premature surgery. A patient who goes to a center that does not utilize clinical protocols will notice that he or she may get a different diagnosis and treatment recommendation if they see two different doctors in the same clinic, or if they come back for a second visit. Well defined clinical pathways that are outcome driven ensure quality in health care. Liberty Spine Care protocols eliminate diagnostic tests and uncomfortable procedures when they really are not necessary. This saves the patient unnecessary pain, discomfort and money. Clinical protocols act as guidelines to ensure that the right thing is done, at the right time, every time. In a sense, having such protocols helps to ensure that all physicians in the center are practicing the same kind of medicine — the best medicine. The clinical protocols used at Liberty Spine Care help ensure an accurate diagnosis. This can allow patients to exhaust nonsurgical options first, and if surgery is necessary, allow for a less invasive surgery procedure. Spine conditions such as trauma, severe acuity and life threatening conditions, as well as the inability to benefit from previously applied less invasive treatment options, can require that Surgical Treatment Options be utilized. 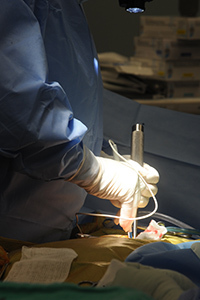 When spine surgery is necessary, the results with Liberty Spine Care can be quite impressive. Some procedures, such as the microdiscectomy, can be performed as an outpatient surgery where patients go home the very same day. 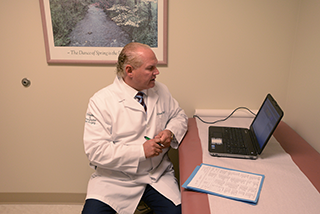 Dr. Valentino develops customized care plans for each patient with the goal of helping the patient resolve symptoms and return to work and activity — in most cases without spine surgery. While some back problems self resolve with time, that is not the case for those patients with emergency symptoms like weakness or numbness into a leg or arm, or loss of control of bowel or bladder. These “red flag” symptoms if untreated for only a week, can become permanent. Such is the problem with delaying diagnostics for people with back or neck pain. Simple to treat problems can snowball into life-changing permanent disability because care is delayed.